Christmas Eve is here again, and we are on the threshold of the New Year 2015. You must be getting ready to have the best of this holiday season and to welcome the new year with open arms. Here, at Grepsr, we are about to unbuckle our seat belts and to uncork the champagne. No wonder, it’s going to get a little crazy this evening. Still, we will be around our station to provide the essential services to our clients. We are sure that 2015 will lead us to a new and exciting stage of our journey, and we would be able to reach the new heights in providing the best quality services to our global clients. We have a number of interesting project cards in the deck. At this important juncture, we would like to thank you—our dear customers, collaborators, business partners, blog readers, endorsers, social media followers and well wishers—for your continued business and support. We are thankful to your insightful comments, reviews, and feedback. We hope you all have a restful and joyful holiday season with your family and friends, and you will be able to begin your new year with a renewed strength and resolution. 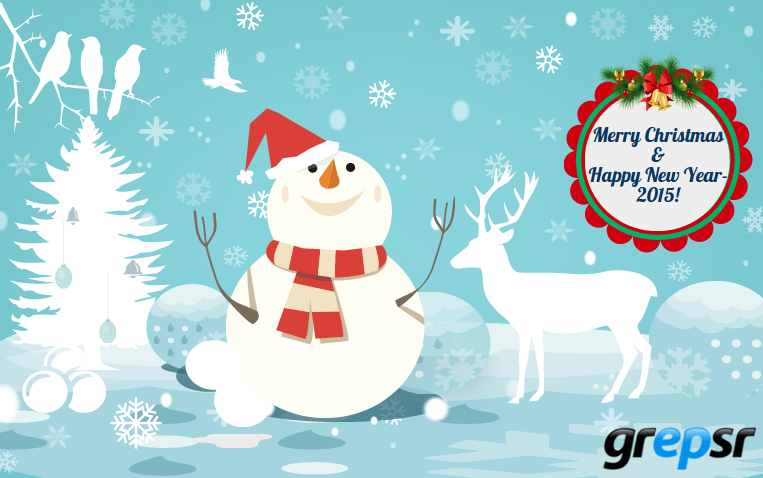 Merry Christmas and Happy New Year 2015 to you all.